Addiction never sleeps and those struggling with addiction can find recovery. 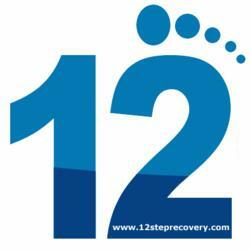 12StepRecovery.com offers an online 12 step community to help recovering addicts and alcoholics, any time, day or night, worldwide. There are not very many meetings where I live - it was great to login and hear a fabulous speaker! Giving and Receiving support is critical for those who are recovering from addiction. Now, in addition to attending meetings and receiving support in person, those who suffer from addiction have an easy, informative, and “one-stop” online location to receive help with addiction. The Online 12 Step Community is a web based means of support for the sufferers of various types of addiction as well as their family and friends. Addiction is a disease that affects millions of people around the world. One of the most effective ways to treat this disease is based on the 12 Steps that were originally created by Alcoholics Anonymous in 1935 as a means to cope with the disease and a means for sufferers to achieve sobriety. Since that time, the original 12 steps have been adapted to help sufferers of many other types of addiction, whether their addiction is to specific substances or to destructive, habitual behaviors. According to the Treatment Research Institute’s research scientist, Adam Brooks, in a recent article for news media CNN, “It is critical to remember that addiction is a chronic illness and recovery is a lifelong process. The likelihood of sustained recovery is significantly improved after a year of continued abstinence. The chances of achieving this milestone are greater with the support of family and friends and a ‘recovery network of peers’ such as Alcoholics Anonymous or other self-help organizations.” While it is important to continue to work with support groups and attend meetings in person, the Online 12 Step Community provides a place for fellow addicts from all over the world to meet online at any time of the day or night in a free and confidential environment to expand the network of support available to them and other addicts. At this site those who are at any stage on the road to recovery, as well as their friends and loved ones, can receive a wide variety of support from any location where they have internet and computer access. The site features online chat and also a forum, where fellow sufferers can support one another in “real-time” while online, as well as post questions, encouragement and advice to one another. The site is also helpful in providing information by members of the community through many diverse means which include, but are not limited to blogs, podcasts, event calendars, and video wall posts that have been created and posted by fellow addicts. This online community is completely free, convenient, and private for all users, and its content is determined by members of its community. To sign up for a free account, or to learn more about how this online community can help you in your struggle with addiction please visit their website at http://www.12steprecovery.com.